Today, I have 2 of them to show you girls out of the 5 that constitute their new collection : Silvershape and Purpleglow. Formula on both of these beauties was flawless : thin, self levelling, easy to work with and with a strong linear effect to say the least. Actually, I found the rainbow sparkles to literally radiate out of the bottle. I applied 2 coats of each over my regular base coat and no topcoat in these swatches. They dry to a semi-glossy finish and don't require aqua base. If you're familiar with the old OPI Designer Series or the Hits No Olimpo collection, they have a very similar application. I'm completely in love with these polishes. 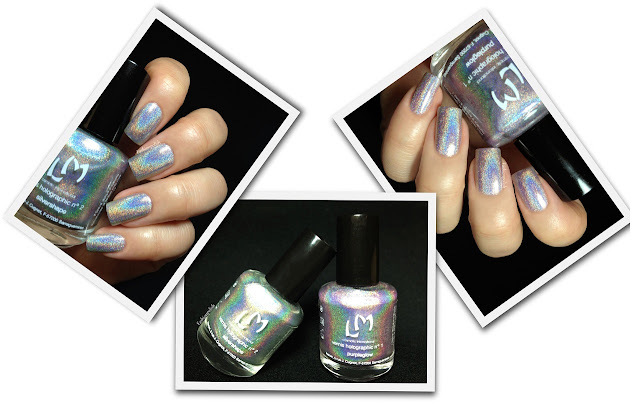 Fantastic formula and the mesmerizing holo, I think I need the other three now, dang! 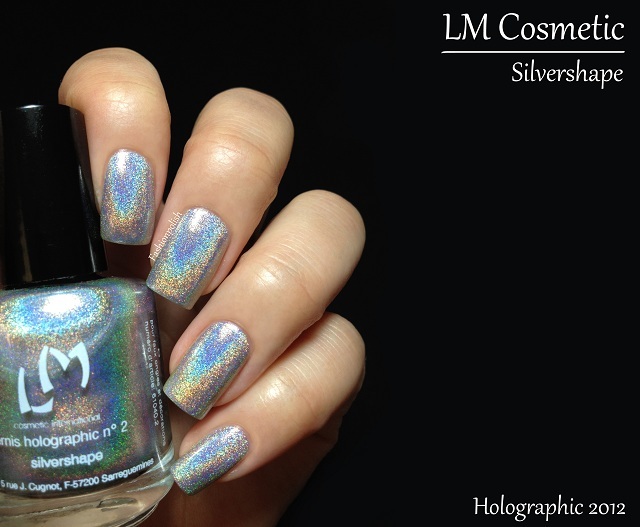 The LM Cosmetic Holographics can be purchased online on LMCosmetic.fr and retail for 9.50€ / $12 (15ml / 0.5 fl.oz). LM Cosmetics accepts payments through Paypal and ships to 21 countries around the world (Andorra, Austria, Belgium, Canada, France, Germany, Gibraltar, Guadeloupe, Guyana, Italy, Lichtenstein, Luxembourg, Martinique, Polynesia, Réunion, San Marino, Spain, Switzerland, The Netherlands, United Kingdom, Wallis and Futuna). For more information, please refer to LMCosmetic.fr or LM Cosmetic on Facebook. 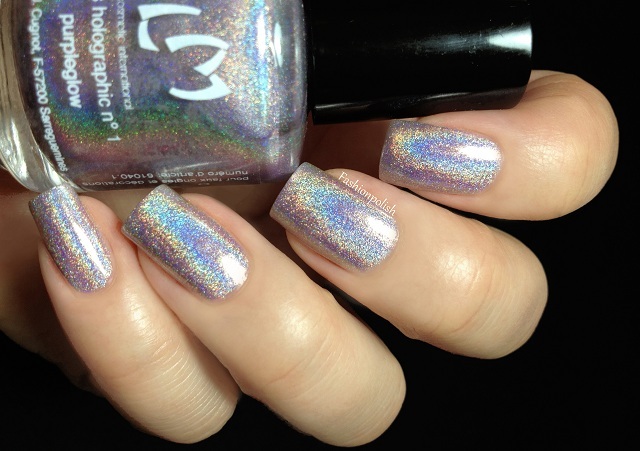 What gorgeous holos! I love how strong the effect is. I wonder how much shipping costs to the US. 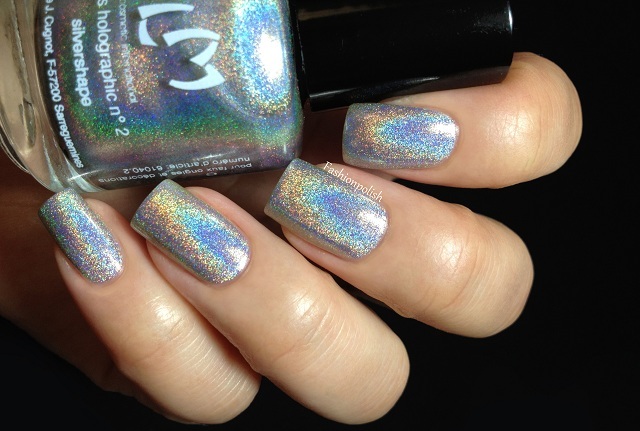 Oh my holo!!! Love these! No shipping to the US, huh? Too bad for my nails, good for my wallet! mmmmm I'm a sucker for purple holos! These are absolutely gorgeous! 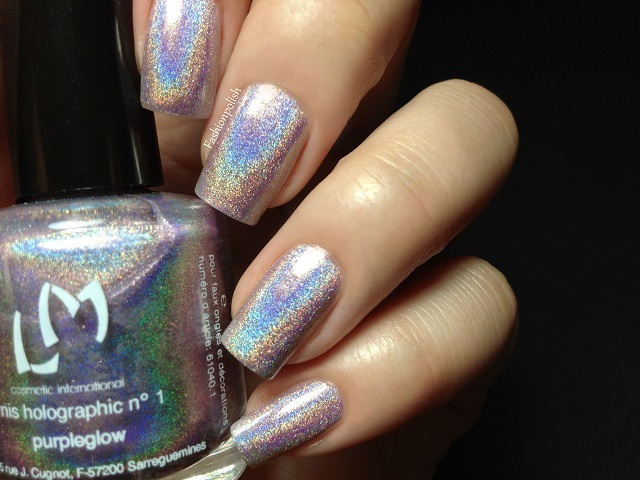 I remember they had much weaker "holo" polish before, but this is really true holo!! I was waiting for this!! could you tell me anything about the shipping costs ? unfortunately i can't find anything about it on their website. I'm actually speechless - WOW! These are so so SO pretty!